Introducing the GYRO Hercules 3.5CH Electric RTF RC Helicopter! The WORLD'S FIRST AND ONLY UNBREAKABLE RC HELICOPTER. This RC helicopter has super strong polymer frame. The Helicopter's body can take up to 200 pounds of force! You can even step on it and it won't break. This awesome Helicopter comes with the greatest advancement in Helicopter Technology, a Gyro! No more crashing, no more replacing parts, the GYRO has changed the Helicopter industry completely, making this RC Helicopter super easy to fly. Great for people of all skill levels, this bad boy features a coaxial rotor a single rear rotor for precise movement and a GYRO for increased stability whether flying or hovering. Controlling the Hercules is a breeze. It can go forward, backward, up, down, left, right and hover. What really makes the GYRO Hercules stand out is the built in gyroscope making it automatically stabilize allowing you to focus on flying instead of trying not to make it crash. This product is ready to fly, there is no assembly required. Just put in 3 AA batteries into the transmitter and charge the helicopter's rechargeable battery with the included wall charger and you are good to go! 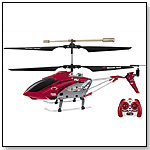 Be the coolest kid on the block by getting the GYRO Hercules Unbreakable 3.5CH Electric RTF RC Helicopter! Feel the burn with the NBA Licensed World Tech Toys Miami Heat 3.5CH RTF RC Helicopter! This is a fun way to celebrate your favorite NBA team at your next tailgate party! Officially licensed by the NBA, these awesome RC helicopters are decked out in official team colors and are a great way to show your team spirit! Good for people of all skill levels, this features a coaxial rotor a single rear rotor for precise movement and an internal gyroscope for increased stability whether flying or hovering. This RC helicopter has a metal body making it strong yet light weight, so don't worry about breaking anything if you have a rough landing. It can go forward, backward, up, down, left, right and hover. This product is ready to fly, there is no assembly required. Just put in 6 AA batteries into the transmitter, charge the helicopter and you are ready to get airborn! Show the world that you're a true fan, and get a NBA Licensed World Tech Toys Miami Heat 3.5CH RTF RC Helicopter before the season ends! Save Gotham City with the World Tech Toys Batman 2CH IR RC Helicopter. 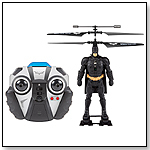 Now you can control the Dark Knight with this officially licensed RC helicopter from DC Comics! It features 2 channel IR control. And it is RTF (Ready To Fly) out of the box. Gotham needs you! 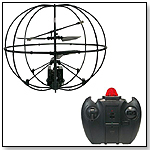 Get the World Tech Toys Batman 2CH IR RC Helicopter today! Introducing the GYRO Hercules 3.5CH Electric RTF RC Helicopter. The WORLD'S FIRST AND ONLY UNBREAKABLE RC HELICOPTER. This RC helicopter has super strong polymer frame. The Helicopter's body can take up to 200 pounds of force. You can even step on it and it won't break. This awesome Helicopter comes with the greatest advancement in Helicopter Technology, a Gyro. No more crashing, no more replacing parts, the GYRO has changed the Helicopter industry completely, making this RC Helicopter super easy to fly. Great for people of all skill levels, this bad boy features a coaxial rotor a single rear rotor for precise movement and a GYRO for increased stability whether flying or hovering. Controlling the Hercules is a breeze. It can go forward, backward, up, down, left, right and hover. What really makes the GYRO Hercules stand out is the built in gyroscope making it automatically stabilize allowing you to focus on flying instead of trying not to make it crash. This product is ready to fly, there is no assembly required. Launch date: November 2012.